1. Do I need to be an athlete to benefit from sleeping on Vaudou Sport mattresses? The Vaudou Sport brand has been designed for different levels of athletic ability based on research performed that looked at about special conditions. These have included the ergonomics of the back, the diminution of transpiration, the minimization of pressure points, of nightly waking up, and better oxygenation of muscles tissues, among others. However, in light of our specificities and longevity, we can affirm that our mattresses are compatible with any person who wish to significantly and measurably improve their sleep and physical recuperation. Among our valued client to date we can point to many different profiles of athletes, of course, but also towards young retired people who have a need to take care of their back, students, and also individuals and couples who simply want invest in a confident and demonstrated high-quality brand of mattress. Whatever your profile, our high-level mattresses are simply engineered for addressing all of the needs of our customers. 2. What are the differences between your mattresses and others? It's normal to ponder this question because mattresses tend to all look alike, and in this case where nothing looks more than a mattress than another mattress, it can be hard to sort all of the details out with all of the variable prices and specificities one may find on the internet. The life of an athlete is based on dietary sacrifices, intensive training, and especially on an adaptive recuperation. On this very important point of recuperation, sleeping represents a prominent and key issue. As such it was our goal to respond to this need for quality sleep, and this consideration extends also for all of our clients, and it is not limited to only those who do perform sport ever day for the benefit of an adapted mattress. Waking up with less aching, less back pain, relaxed limbs, feeling oxygenated, and having a feeling and sensation of fresh wellbeing every morning; these reasons are why we wanted to work with sport champions for improving their everyday life and to contribute in our special way to their performance. 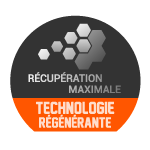 Fully made in France and developed with high-resilience standing types of foams and with unique textiles from the market with scientifically shown benefits, our mattresses have then been designed, tested, criticized, and iteratively improved with the help from recognized health consultants and sport champions with different questionnaires about their sensations, their feelings, and their sleep. In this way we finally found the perfect position for our three specifically branded products with the most specific and beneficial level comfort that we could create, known as our Vaudou Sport range. 3. Why do you propose three models and not universal model like a lot of other brands? Like all of the specialists in the bedding field, we know that no mattress can fit all of the profiles for obvious reasons of differences in physiology and feeling. In view of the large number of different so-called single or universal mattresses on the market, there is a certain contradiction with each other about the ultimate comfort sought since no single model has exactly the same comfort and resistance over time, and despite their likely quality levels they are in fact often composed of the exact same technologies, which unfortunately could tend to lose market share due to poor diversity. This explains our choice to have created our three high-end products, adapted to a wider range of comfort and desires. All individuals can sleep on our regenerative ranges, but some will prefer the memory foam of the Bravoure, while others preferring support that is more medium yet firm might prefer the Cloud Touch of the Reflexe, or the personality and the more robust support of the Warrior Mattress product, associated with a welcoming texture that is supremely supporting for your back (See the podium). 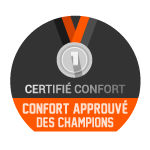 Our three mattresses correspond to our scrupulous specifications, and panels of consultants from high-level health and competitive sports backgrounds have validated our claims and demonstrated their belief. Moreover, the innovative mattress REFLEX are in fact positioned in an agreeable and similar price bracket as most "universal" mattresses, so according to us at Vaudou Sport, we are pleased to offer this level of choice to our potential customers, as well as the established customers who made the decision to try out our innovative range. 4. Who are the champions involved in the Vaudou Sport project? To introduce this concept, we are open about the fact that all of the athletic members of #teamvaudousport are neither sponsored nor paid by our brand, but are simply high-achieving and famous clients who have picked Vaudou Sport based on merit, for the goals of recuperation and comfort promoted by our brand. We submit to them the same guaranty and conditions like any other client. Most of them kindly accepted to support our development (may we direct to you to their open comments and quotes regarding on our different mattresses). This is why they are now honorable members of #teamvaudousport, because they are aware and informed about the necessity of sleeping well for being the performer they demand in themselves, and accordingly they extended this wish to all athletes, from amateur to professional levels, on this key principle of performance. Furthermore, we also subscribe to some image partnerships, with some of these being used to illustrate our specific products. These opportunities have presented major accolades for our brand, and they are very precious to us, and demonstrate a huge chance for the development of our unique products, and this is why we put all of our energy into our innovations for returning and giving back this confidence. 5. What are the Vaudou Sport certifications and what do they want to say? We always say it but Vaudou Sport gives 100% French quality from the product-line to the transport and delivery, and we are fiercely proud of that. Before buying a mattress, many customers may forget about important points of certificates, guarantees of quality and health regulations, of work conditions, and environment concerns. 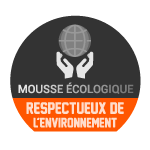 We have a personal and established interest in giving the best, to our clients, our potential clients, to the environment and ultimately to bettering the world around us. CERTIPUR: When you buy products containing certified foam, you can be confident that the flexible polyurethane foam inside meets Certipur standards for content, emissions, and durability. You will also know that it has been analyzed by independent and accredited testing laboratories. ÖEKO TEX CLASSE 1: Is a worldwide consistent, independent testing and certification system for raw, semi-finished, and finished textile products at all processing levels, as well as all accessory materials used. ISO 9001: One of the standards developed by the International Organization for Standardization (ISO). The purpose of this family of standards is to increase customer satisfaction through the deliverance of quality products and services. ECO VADIS: This is the first collaborative platform enabling companies to monitor the sustainability performance of their suppliers. REACH: A regulation of the European Union, adopted to improve the protection of human health and the environment from potential sanitary risks. HYG CEN: Certification of sanitization of products according to a high European standard. For further information, we can deliver to our customers any certificate on demand. If you are in a mattresses comparison phase and pre-purchase, we advise that you should not ignore this aspect; health depend of it. As such, we wish you to be as informed as possible, to make the best decision for your health and the benefit of your sleep. 6. Where are the mattresses made? Our mattresses are made in France and the factory who product them also makes some mattresses for some famous other international brands. A design brief has been specially created for the conception of our regenerate Vaudou Sport products. 7. How do you justify your prices? 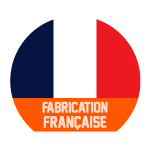 If it is the unfortunate case that our mattresses are not accessible to all, we put this to the fact that the materials we use are more expensive than those used by general non-specialist brands, and on par with our belief and values, we ensure that our fabrication is 100% French. Whilst it can be true that what is rare can be expensive, we at Vaudou Sport develop and sell products of a certain standing, our desire being to bring something highly innovative and qualitatively superior into the wider bedding market, where we, and we are sure you, will find most frequently ranges of mattresses with very similar technologies and with similar promises sold under different packaging, lacking identity and the specializations that we have elected to offer. For example, Vaudou Sport's US Celliant regenerating ticking yarn cost several times the price of a classic polyester ticking. Our soybean-based foams are of a higher quality, with better aeration, and furthermore they are treated with essential oils, all of which results in a newer and slightly more expensive technology than the polyurethane foams of the general bedding market, since our former ones are healthier and will last longer. Finally, our Cloud Touch foam is a remarkable innovation and we are the only ones offering this customized welcoming texture in our product lines. Finally, we offer free delivery, trial nights, the possible return of the mattress in the event of dissatisfaction, and a proactive customer service, all of which summarize comprehensively our additional strengths that we believe justify our high-end service. 8. Why did you give this name to your brand, "Vaudou Sport"? We enjoy to hear and answer this question, due its amusing tone and perhaps odd nature. Since it is such a common question that everybody asks, the answer comes from the period when we were performing our trials on the some mattresses with variable different technologies, and at a point a very known world champion in partnership with our brand who was also a tester of sleep efficiency, said that after the first night that they had "never slept as good as last night, this bed has charmed me!" After our big laughter about this explanation of how he felt, we had since validated the comfort of the mattress and decided upon the name and brand of "Vaudou" (Voodoo), for the charm it can give to anybody. Accordingly, we have the saying of "Vaudou Sport, charming your nights". 9. How firm are the mattresses? We posed this question to health professionals and athlete, to get their advice and ideas, and we can confirm that the mattresses Reflexe and Bravoure were qualified as being medium yet firm, and the Warrior mattress was qualified with being enveloping, yet with a firm base. In any case you benefit from a trial period of 100 nights to adapt yourself. Your body is like a machine, and it needs to relearn how to sleep correctly. These adaptations would give you the proof that our sport doctors, physiotherapists, athletes, and kinesitherapist weren't wrong about the conception, and a trail period will surely convince you of their belief too. 10. Will I feel the movements of the person beside me if the bed is shared? One of our main concerns about having a good sleep was to avoid the small wake up periods that can occur in middle of the night, awfully responsible for our daily tiredness and fatigue. This is why we concentrated our efforts on the stability of the foam, to offer perfect and dependable sleep in the bed. Movements of your partner in the night will go unnoticed, and if one wakes up at a different hour to their bed partner, they won't even notice you leaving. Like our name and our nature, this is the way of Vaudou Sport; the sleep of a warrior is understandably precious! 11. Do the products have any allergy risk? Due to the absence of latex in our products, which in rare cases can lead to the development of allergies in healthy users, we ensure the extremely healthy nature of our French and certified products and our hypoallergenic covers, and it is impossible to develop an allergy as a result of one of our mattresses. In addition, our products are naturally treated against mites with essential oils of lemon, lavender and eucalyptus, which eliminates the health related issues of these infestations that may affect other mattresses. 12. Vaudou Sport mattresses are better than spring mattresses? The best quality of a spring mattress is their aeration, but the newest and higher quality generation of foams used by Vaudou Sport in our mattresses provide a better sensation of freshness with also a longer lifetime, are less heavy, and reduce greatly the impact experienced by sharing the bed with a partner and the potential for nightly disturbance by their movements or waking (see "Our Differences"). 13. What exactly is the Cloud Touch foam, in a couple of words? The Cloud Touch foam is a new and innovative type of high resilient foam developed for the top levels of comfort for athletes, although not exclusively to athletic professionals. With a toning and flexible touch at the same time, this very aerated foam provides the same advantages as the famous memory foam, but without giving discomfort through the softening effect. It provide a better temperature distribution in your bed, is more breathable than any other current foam, and is treated and resistant to mites with essential oils. The Cloud Touch foam give a weightlessness effect, avoiding your body parts to be compressed against the mattress, which is beneficial for a delicate and quiet sleep, and can also reduce morning muscle soreness. 14. What is the best choice between memory foam and Cloud Touch? Memory foams are used quite frequently in mattresses, even in those of an average quality. Unfortunately, the actual technology doesn't provide as good a level of satisfaction when it has a variation of temperature in the bed. Despite the fact that the comfort level is indeed very good, the viscoelastic foam is perfect for those who believe in it, those who know it, have tried it, and sleep on it. Despite that, it would be a mistake to choose a memory foam mattress because your best friend or your aunt for example says that it would be the ideal for you too. Maybe it was true for them, but is it very adapted to you? We respect differences in opinion, and diversity. On this basis, we prefer to let the individual try out our new generation mattresses with Cloud Touch, taking advantage of the possible trials, the delivery options, and the wide range of products on offer. These mattresses with Cloud Touch have been designed with the best technology, to offer the greatest advantages as one could find, affording a confortable and well-aerated bed that also demonstrates an efficient diminution of pressure points well comparable to that of memory foam. For those last arguments, you could trust without problem somebody who owns a mattress with this fabric; they have no constraint and can ensure a perfect temperature repartition. 15. Do you also sell bed frames? Yes, we sell wooden bed frames at Vaudou Sport, naturally made by French craft with wooden Vosges pine and each supplemented with a 10 years guarantee. These elegant bed frames are compatible with all of our mattresses, and delivered in two parts for the dimensions 160, 180, or 200 cm wide (see Our Bed Frames). 16. What about electrical lattice frames? Yes we sell these, and they are also made in France. Our goal here is to provide to our clients that are looking for this kind of bed our very adapted mattresses, perfect for ideal relaxation thanks to their conception and flexibility. The combination between electrical lattices frames and Vaudou Sport mattresses will always offer you an extra 25% off on your order, whilst maintaining our policy of free (see Our Bed Frames). 17. What differences does exist between your pillows and others? Just like mattresses, there is no unique pillow on the bedding market that fits to everybody’s needs and wishes. For instance, it would not be common to sleep in the same way on a soft sweet memory foam pillow than an ergonomic one, firmer with specific vertebra holding positions. We propose to our athletic clients a high range pillow perfectly adapted to our mattresses with different assets to serve the functions of your specificities. Each pillow is compatible with each mattress, and you simply just have to choose! (see Our Pillows). 18. What is the portable mattress OXYGEN? The portable mattress Oxygène is a patented innovation of Vaudou Sport, tested by Olympic swimmers during the Rio Olympics in 2016 and accordingly validated for its regenerating comfort. It's also used in complementary soft bed envelopes in international competitions for avoiding the feeling of indelicate mattresses that champions doesn't know before a competition (such as those in hotels, or other lodgings). Composed of hard and soft levels of Cloud Touch foam, sewed inside a Celliant textile, athletes will still benefit from the established Vaudou Sport proprieties until reaching the highest podiums of any competition they aim towards (see Oxygen). 19. Should I use a topper (overlay) on my mattress? In our Vaudou Sport brand, you would never need to add another accessory for comfort in additional to the products we offer. We have integrated all of what you really need inside our products to guarantee you the best night of sleep possible. 20. How the 10 year guarantee work? 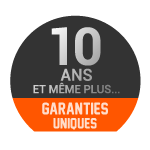 Our guarantee is a full 10 years guarantee. In the case of quality problems during this period we will exchange your mattress with a new product in the unique condition that the bed frame was in good shape and that you respected the normal utilization rules. We want satisfied customers, and this is one of many ways in which we extend this wish to you. 21. What is the career guarantee for a professional athlete? Simply, towards the goal of providing the best-adapted comfort to an athlete during their professional career, we will become responsible for their sleep, and we want to accompany them with a perfect Vaudou Sport mattress during their career to the very end. For example, if a young 18 year-old athlete buys one of our mattresses, they will keep it or change it if any problem caused by wear occurs over time, until the end of his career, even 20 years later. Our will is to follow closely the performance of each individual concerned by his recuperation, and our duty is thus in providing the best qualities of sleep and comfort, which will hold strong through the years. 22. How much time might I wait before using my mattress? Absolutely immediately after opening the package will you be able to sleep on your new mattress. In comparison with some brands that occupy the middle-range sold online, it will only take a couple of seconds for our Vaudou Sport mattresses (Bravoure and Reflexe) to return to their normal position, and our Warrior mattress that is very robust and very resilient is almost uncompressible, ensuring its delivery in its original form, ready for use on reception to your residence. 23. It is possible to clean the mattress cover? Vaudou Sport mattresses are fully removable for cleaning up to 30oC (86oF). This cannot damage the efficiency of the Celliant technology whereby encrusted minerals inside the fibers will always stay present and active. One note of warning, it is imperative to not dry it by machine, which could shrink it. 24. What kind of bed are the mattresses compatible with? Considering the extreme resistance of our mattresses, they are adapted for any king of lattice bed frames, wooden lattices, springs, flat surfaces, providing that those are aerated and in good shape for not losing the benefit of our comfort. Our Vaudou Sport bed frames are specifically adapted to our mattresses, and we welcome inquiries for advice on this matter if you require. 25. Should I turn over my mattress often? No, for Bravoure and Warrior mattresses, a simple switch in the direction of head to feet once per year would be enough, as due to their resistance they only require one sleeping face. For the Reflex mattress, a head to feet rotation every three months and a turning over (back to front) once a year would be ideal prolonging its lifetime. 26. Do these new mattresses have any particular smell? Differently to many bedding brands sold on the Internet across different European countries, Vaudou Sport mattresses would not have any weird smell when you'll unpack them because of our choice in primary materials used for their construction. We use healthy water based glue (as opposed to harsher solvents for others) and we always give a breathing time for our foams for at least 48 hours before packing (compared to an average of 6 hours for most mattress makers). Our priorities are your health, your satisfaction, and the fact that you can sleep with serenity from even the first night. 27. Where can try your product before buying? 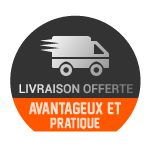 Compiègne, about 1 hour north of Paris : Literie Logis, 23 cours Guynemer, 60200 COMPIEGNE. 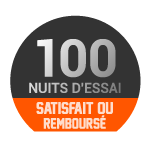 But don't worry, wherever you live, you can try for 100 days our mattresses. This is the confidence that we have that we are absolutely sure that you'll adopt the comfort of Vaudou Sport full-time, and if not, we'll repay you. 28. How can I pay online? 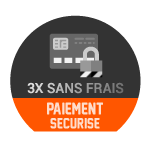 We have an excellent and highly secure online system with our French bank Crédit Agricole, which can accept payment from a wide range of other accounts, and you can pay by Visa and MasterCard, or even send checks to our head office, if this is helpful. 29. What are the dimensions of the delivery boxes? 30. Quel est le poids du matelas ? 31. Are the products always available and in stock? For answering our strong demands, we try to stock some important dimensions of our stock, but this isn't always a conceivable solution for all dimensions of each mattresses. This is why we sometimes perform the fabrication of the mattresses after the order, with a committed guarantee of final delivery to the client. Our conscientious work for our mattresses and our brand means that we see a short period of time in storage being rolled up and unsold is poorer in the long term, and therefore we wish to offer the best preservation for all our products, to guarantee their utmost quality levels being delivered to our customers. 32. Do you sometimes offer discount ? We prefer from the start to propose the best quality price and value with a just and unique price for our products in shops or internet. Sometimes, when we change our collection, we eventually can propose to our customers a small discount for the old collection. 33. What is the delivery time? For the standard dimensions of 140 x 190, 160 x 200, 180 x 200 cm, our delivery time is very short, between 48 and 72 hours for our three kinds of mattresses (depending upon your country of residence).  This is the same for our range of accessories, such as pillows and bed frames. For other dimensions, we kindly ask to our clients to wait around 3 weeks for the construction of the new product. This patience will be swiftly rewarded thereafter by the delivery of comfy and efficient sleep for the promise of long periods of serenity. 34. Do you do delivery abroad? Thanks to an efficient premium shipping company, we propose free delivery for some close border countries as to France, which include currently Belgium, Switzerland, Germany, Spain, and Italy. This will be expanding, and if you are outside of these countries we welcome you inquiry regardless and can talk about options. For more information, please see our Delivery page. 35. How to know if my order has been sent? A confirmation email will be send to you after your order, with all the information that you require for following the steps of your delivery. Also, our shipping company will contact you for an appointment one or two days before the delivery. Finally, our customer service will always be there for you (in English, French and Spanish) if you have any questions at all or need further information. 36. How much does the delivery cost? Thanks to our national shipping company, we are happy to offer you free delivery, depending on where you are in Europe. For more information about which countries easily benefit from this, please see our Delivery page. 37. Can the mattress can be delivered upstairs? Yes, the packaging boxes can fit within many styles of stairs or elevator. However, our delivery people just ensure delivery of the box to front door of your home, so please expect and offer or find some help by others if you have to carry it upstairs by yourself. 38. How can I receive my order? The shipping company will fix an appointment with you for delivery of your mattress in its packaging box. 39. Do you take back older mattresses? No, unfortunately we can only perform our delivery; you would have to find a different solution to get rid of your former bed. 40. Under what condition may I send back the mattress? You can send your mattress back for free under 100 days after purchase. Your product will be exchanged or repaid, see details here. 41. What are the greatest requirements for choosing a mattress? - The spinal cord welcoming: It's the feeling of comfort that we feel when a mattress gently envelops the body; the contact should not be too firm or too hot. - The core support: this is the capacity to hold the perfect vertebral straight position in all sleeping positions. The density is absolutely essential to define the capacity for the mattress to last in time. If the core is over 35 kg/m3, as all our Vaudou Sport mattresses are, your sleeping position will stay stable and durable for years. - The notion of densities: Many clients don't look at this important factor, even though it is practically equivalent to the amount of horsepower of a car motor. Despite this, this is however one that is a true reflection of quality and resistance, intrinsic of a product. Vaudou Sport mattresses have in addition of an important and supportive density, healthy and well made foams, ecological benefits, ergonomic considerations, and a 10 years guarantee without any inconvenience. - The origin: A European production is essential for hygienic regulations, guiding its fabrication, and honoring labor laws. France a strict observer of these regulations and laws, and in line with this we have committed and have chosen to support the competence of our workers. - Certification: We hope that our clients do not forget this requirement. If a young baby, a person with a history of allergy or somebody fragile or older sleeps on one of our mattress they will be very safe. We obtain more health and technical certifications than most, if not possibly all, of the other bedding brands. Safety and health is a paramount concern for us. - Dimensions: There is not a huge difference between two sizes of mattress, but before buying, be sure that the new mattress you desire has the right dimensions, fits with your bed frame, in your bedroom or studio, in your stairs, elevator, and any other infrastructure in between for a peaceful delivery. 42. How does Vaudou Sport distinguish itself from its competition? The first thing to say is that we at Vaudou Sport we do not consider ourselves to be in competition with anybody, in view of the facts that we use our own unique technologies, and our beliefs, our spirit and our DNA is primarily towards sports and is concerned by optimal physical recuperation of athletes. In a saturated bedding market, filled out by so many identical and general brands, we propose a strategy composed by only French companies, from the fabrication to the transport, including even the packaging box maker, to put a justified spotlight upon our ‘Made in France’ service. This way to work ensures us a faster distribution and fewer intermediaries, thus lower margins for a better price to quality ratio that is passed onto our prospective customers. For insisting on our differences between other internet and physical based commercial alternatives who always use the same parts inside their mattresses, such as memory foam and low density latex, we were looking for the absolute best that we could find for recuperation and sleep and we have associated them to the best knowledge in the French bedding industry. Working on the originality and the innovations of our products with health experts and without doubt some of the greatest French athletes, we obtained the top level of comfort and the optimal efficacy for what we can do in the foam mattresses field (see Our Differences). That is our distinction. For any and all questions, please send us an email at contact@vaudou-sport.fr or by phone +(33)6 26291078 . Please note we try to be as helpful as possible and can speak English, French, and Spanish. Furthermore we also have an interactive online chat program for live questions and answers. 44. Connecting via social networks? For contacting Vaudou Sport you have a large choice, with possibilities by e-mail, phone, and live chat (See Contact). We welcome your correspondence, and enjoy an active relationship with our community. Imagined by athletes for athletes, Vaudou Sport® collects together all of the main ingredients for the physical recuperation of any athlete in these new generations of mattresses. Starting from the principle that all athletes train tirelessly towards improving every detail of their performance, we have searched to gather together the best sleeping technologies in the up-market bedding field to help them reach their goals, full of energy. We have decided to combine the best ecological, ergonomical, and anti-allergy foams, using the high density, fresh, and flexible new American yarn technology named Celliant. This combination of technologies convenes from different horizons, and has been validated by health specialists. This allows us to meticulously envision this up-market mattress, which is can propose to fans of the brand the best sleep imaginable. In collaboration with the greatest French champions, Vaudou Sport® is the only 100% French brand devoted to the recuperation of athletes, mirroring their ambition to follow prudently market innovations, and continuing, as athletes do, to push the limits of excellence and sustain the delivery of results. Larick Cartron, Founder of Vaudou Sport®. Need more information? A simple question? We are at your disposal! Vaudou Sport © 2015-2017. All rights reserved. By continuing your browsing on this site, you need to agree to the use and the writing of "cookies" onto your connected device. These "cookies" (simple small text files) allow, for example, the updating of your basket, and to secure your connection. Click here to find out more, or on the cross [X] on the left to hide this information banner.